In this activity, you will observe representative Invertebrates and answer some questions. Use your notes and this module to help answer the questions, as well as some outside (reputable) sources. Browse some reputable websites to learn more about where “loofah sponges” come from. How are the two alike? Which phylum do sponges belong to? What type of symmetry do they display? Do sponges have a coelom? Is the Portuguese Man O’ War a single organism or a colony? How would it use its tentacles? What is the purpose of the large inflated sac you see at the top of the picture? What is the phylum for the Portuguese Man O’ War? What specialized structure characterizes this phylum? In what ways can a Hydra reproduce? Is coral made up of organisms that are medusa shape or polyp shape? Name the phylum that both of these organisms belong to. List two characteristics that all members of this phylum share. The tapeworm is a parasite. What does that term mean? How many body openings does the Planaria have? How do Planaria reproduce asexually? To what phylum does the earthworm belong? 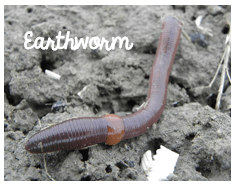 How does the earthworm breathe – gills, lungs or through its skin? Does this organism have a digestive system with two openings? Does this organism have a pseudocoelom or coelom? 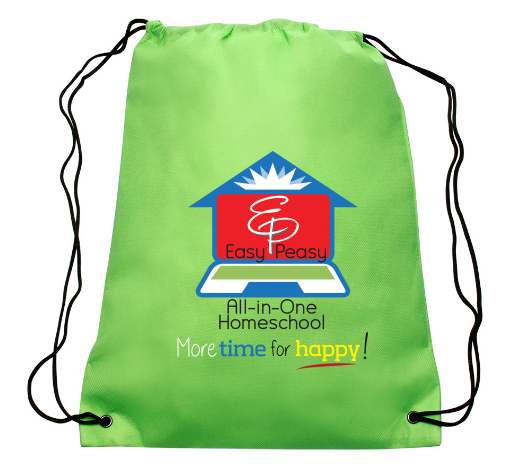 Does the earthworm have an open or closed circulatory system? Describe which internal and external structures allow movement for the earthworm. Examine the picture of the oyster and the conch shell. The top half of the oyster’s shell has been removed. When it was alive, it had two shells. Next, watch the video of the octopus. Which of the organisms pictured is the gastropod? The bivalve? The cephalopod? What phylum do all three organisms belong to? What characteristics are common to all members of this phylum? What kind of environment would the oyster live in? How does the oyster get its food? How does the organism in the conch shell breathe? How does the octopus get its food? What phylum does the sea urchin belong to? What does the name of this phylum tell you about all members of this phylum? What type of symmetry does this phylum display? Does this organism have a coelom? The sea urchin on the right had its spines removed. We can see its body. 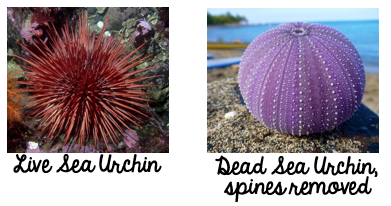 How would the spines help the sea urchin when it was alive? Watch the clip of the starfish. You are viewing it from the bottom because it is attached to the glass of a tank. You should be able to see its tube feet moving. What phylum does the starfish belong to? Where are the tube feet located on the starfish? How does the starfish use its tube feet? What kind of symmetry does the starfish have? What kind of reproduction do you see in this starfish? What might happen if a predator bit off one of the arms of the starfish? What are the 3 stage of incomplete metamorphosis? Give an example of another insect besides the butterfly that goes through complete metamorphosis and name the stages. How many legs does an adult insect have? Name the phylum where insects reside. Look at the tarantula below and examine its body closely. How many legs does the tarantula have? Which body segments does this organism have? Is the tarantula an insect, an arachnid, or a crustacean? What type of symmetry does this phylum have? To what phylum does the tarantula belong? Name a defining characteristic of this phylum. To what phylum do crabs belong? Identify the type of symmetry that this crab displays. How many legs do crabs have? How many body segments do crabs have? Are crabs insects, arachnids, or crustaceans? Do crabs have an exoskeleton or an endoskeleton?